Mercedes-Benz is a world-class brand, not just in the automotive industry. To partner with a well-known brand, is a true testament to the professional standards we uphold in our all our drone operations. 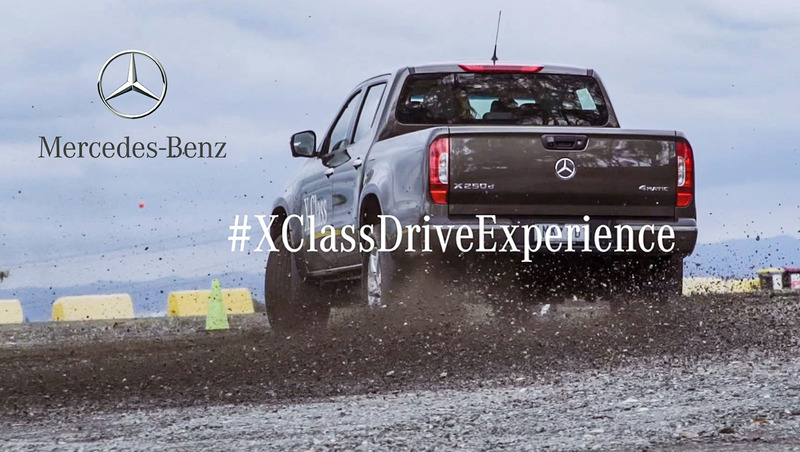 The event was an exclusive driver trackday for corporate, private and commercial buyers, where they had the opportunity to sit in the hot seat of their latest model – the X-Class – for an unforgettable, challenging and rewarding experience at Sydney Motorsport Park on and off the track! UAVISUALS was called in as drone cinematography experts to plan, shoot and execute some advanced drone camera sequences on and off the race track. We used the high-end DJI Inspire 2 drone with pro-res capabilities, allowing more freedom and flexibility to capture film quality content. We had a three-man crew. Our team consisted of a drone pilot, who we contracted out to @Highinthesky, a second drone operator & data wrangler, and also a camera operator / DOP (director of photography). The shoot provided plenty of challenges and obstacles, but nothing we couldn’t handle. We used some advanced film techniques such as aerial drone hyperlapse and high-speed car chases to capture the thrill and excitement of the experience. The edited footage was filmed by the cinematography team at UAVISUALS, edited by The Royals Agency and was turned around for the Mercedes-Benz customers to take home with them.